This is re-posting of a photograph that is immediately in front on the wall opposite our bed in our new home. This portrait has charm in spades and I am so glad that my daughter Alexandra Elizabeth accepted my request that she pose with my mother’s Mandarin coat. 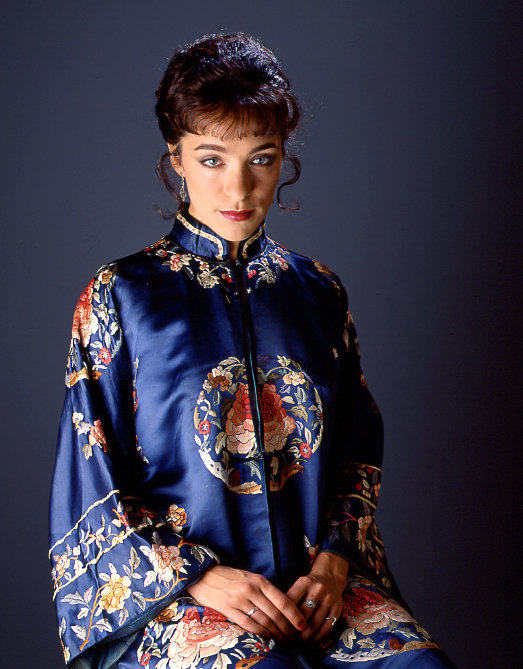 More on that Mandarin coat here. The coat will now hang in Ale’s armoire which is in our piano room. This armoire will be dedicated to family stuff, memorabilia and dresses that my daughters and granddaughters wore as little girls. In that room with our newly re-finished Chickering baby grand and five antique stacking lawyer’s bookcases is the genuine psychiatric couch that used to grace my studio. Countless women sat or reclined on it in various stages of undrapery. The couch is now finished in a lovely vermillion material. As soon as I get all the boxes out of the piano room I will be posting here what it looks like. Meanwhile I smile as I gaze on Ale’s portrait and I remember how it is that my mother attempted to educate her as a little girl. One day back in Arboledas, Estado de Mexico, she complained that Ale had thrown the books that my mother was reading to her out of the window.